Sirmoak is a free Wookie. 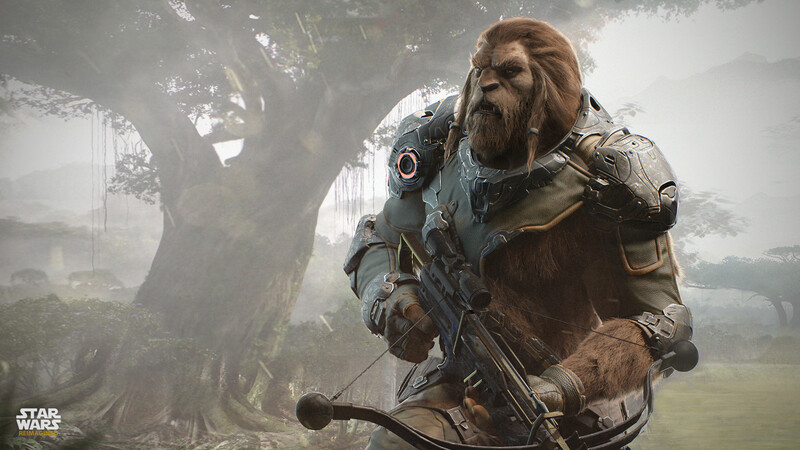 He got away from Kashyyyk before it was fully annexed by the Empire. Now, that his home planet is overrun, Sirmoak had no place to stay either. He's wandering, trying all the time to find the weak spot where he can stab one at the underbelly of the Leviathan that is the Galactic Empire. he's not gonna miss a spot when he can. Fighting against injustice, imprisonment of the innocent. He is also driven to arm himself with traditional Wookie weaponry. Obsession 15 - Sirmoak is driven by his conscience to help Wookies and slaves of any kind.